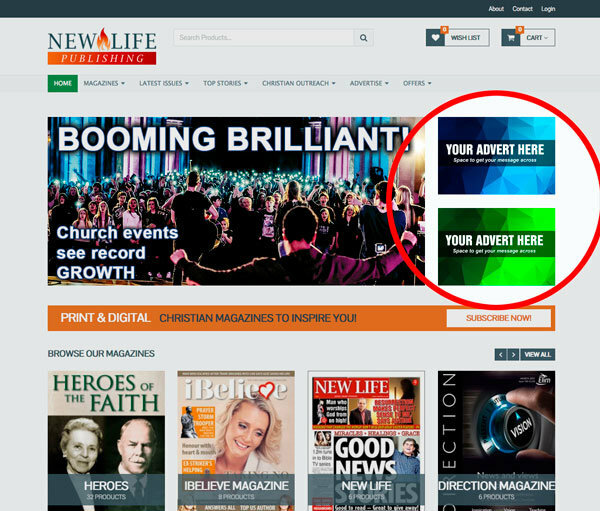 With an average monthly audience of 3,000 unique visitors, choosing to advertise online with www.newlifepublishing.co.uk is a great way to get your message across to an audience you are otherwise unlikely to reach through the Christian press, and all at extremely affordable rates. Plus, your advert can be linked to a webpage of your choice, meaning that visitors can easily navigate to where you want them to be with a single click. *All prices are subject to VAT at the ruling rate. Alternatively, why not include your advert in our printed publications, click here for details.